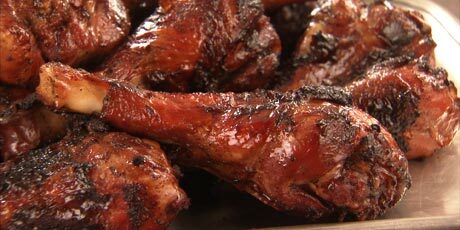 BBQ Chicken is one of my absolute favourites! You can hardly go wrong when making it and everyone loves it! If you are grilling, you can eat it straight off the grill, no sides needed. If you are preparing it to go alongside other dishes, pretty much anything goes. Place chicken in baking pan and apply all purpose seasoning, jerk seasoning, minced garlic, salt and black pepper. Ensure that seasonings are evenly distributed among all chicken pieces. Place in the oven and set to low broil. Turn chicken pieces over after 15 minutes to ensure that both sides are browning. Add jerk seasoning, red pepper flakes, parsley flakes and brown sugar to the mixture and stir until smooth. After 25 minutes of cooking, cover the chicken in the sauce and leave in the oven for another 15 minutes.